BetOnline have developed a top-quality real money poker app that can be played from anywhere in the world, including the United States of America. Enjoy ring games, tournaments and speed poker on your iPad, Android or iPhone. No download needed. BetOnline accept poker players from ANYWHERE. Start playing instantly on any iOS, Android or Lumia. Play Hold'em and Omaha cash games on mobile. 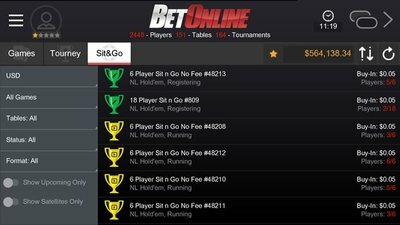 Sit N Go's, Multi-Table Tournaments and Freerolls. BetOnline is a high-traffic U.S. facing poker room. Bitcoin accepted in addition to regular banking methods. Thanks to regulations in many countries across the world, playing online poker isn't as easy as it should be. Restrictions by countries on banking transactions with poker sites have left players without as many options as they would like. 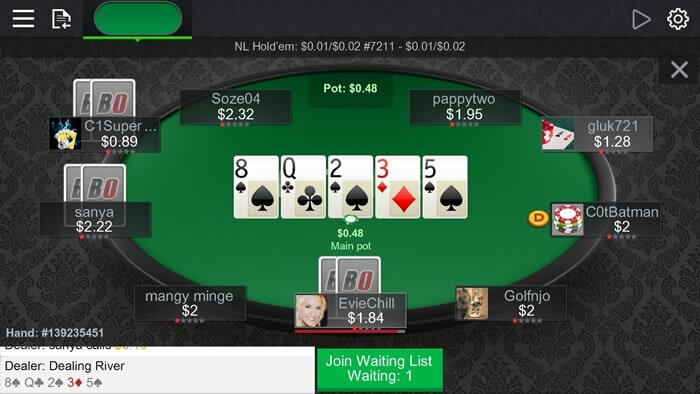 Thankfully, respected names in the online wagering industry are making their way into poker, with BetOnline being the latest site to bring a mobile poker client to its players. Installing the BetOnline mobile poker software is easy, and may not even require an installation depending on what type of device you are using. Android poker players can download the BetOnline Poker Android app and login using their BetOnline account credentials to start playing. iPhone users do not have an app to download, but can login to BetOnline's mobile site and play poker straight through there. 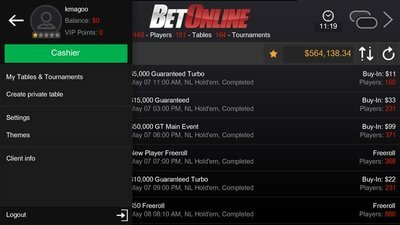 As far as poker games are concerned, BetOnline mobile poker only offers Hold 'Em, Omaha, and Omaha Hi-Lo. 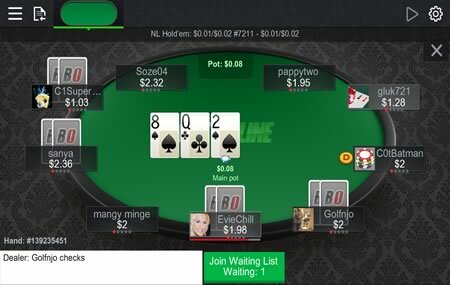 Within the list of Hold 'Em games is the option to play cash games, tournaments, or sit-and-gos. 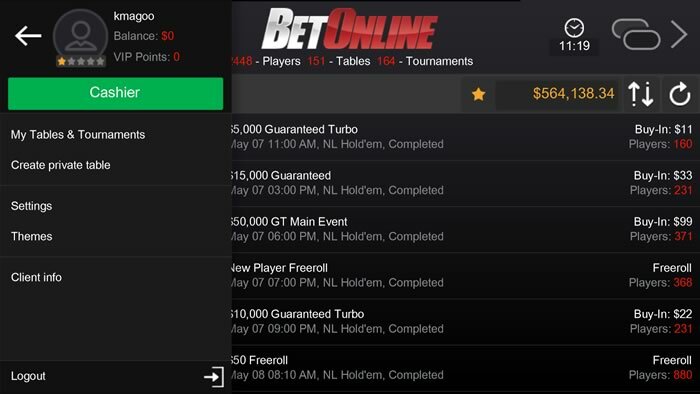 Omaha and Omaha Hi-Lo are only offered in cash game form, which results in the number of different game types offered by BetOnline leaving something to be desired in the early stages of their mobile poker client. When it comes to features, BetOnline makes up for what it might lack in the quantity of games it makes available on its mobile poker platform. Their lobby makes it easy to find the type of game you're looking for at the dollar amount you are looking to play for. Their sorting feature allows you to sort by blind size for cash games, and buy-ins for tournaments and sit-and-gos. BetOnline also allows players to play on multiple tables at once even on their mobile devices. All you have to do is choose a table on which you'd like to play, tap the button that takes you back to the lobby, and then choose a second table. From there, every trip back to the lobby will show you how many tables you are playing on in the top right hand corner of the screen, allowing you to select which table you want to go back to. This allows players to build their bankroll quickly via several tables, or to play in cash games and tournaments at the same time. The graphics at BetOnline are nothing overly special, with the tables and cards looking the same as you'd find at other poker sites. Customizations of the table include a few different felt colors and background colors, which are all adequate and aren't distracting. Bonus points go to BetOnline for their menus, which are clean and easy to navigate through, rather than looking gimmicky and hard to pay attention to. There are tons of promotions available at BetOnline, with their 100% first deposit bonus in their poker room leading the charge. 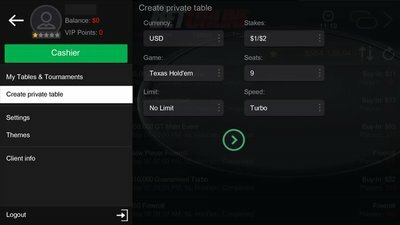 This is a great way for players new to their mobile poker client to get their feet wet without risking all of their funds. They also offer a $5,000 freeroll for new players, offering even more chances for new players to rack up money before risking any of their own. BetOnline also has a fun promotion to benefit the victims of bad beats, with their Bad Beat Jackpot program. Set at a minimum of $100,000, if a player loses a hand of four jacks or better, the table splits the jackpot, which currenty sits at nearly $500,000 and counting. One could presumably purchase a new phone after shattering the old one as a result of losing with such a great hand. BetOnline for Android, iPhone and iPad is hands down the best mobile poker client from real-money players based in the United States of America. You can play everything from ring games to high-speed tournaments and there is always plenty of action at the tables at anytime of day or night. iPhone and iPad owners can play instantly from their devices browser and the poker room even accepts bitcoin for those who are tech savvy.